Lets say that you’ve been bossing in your area of expertise for an awe-inspiring number of years, championing multiple award-winning accomplishments and expertise, take my preliminary consulting advice – accomplishments should never be insulted or downgraded with an undercutting low-budget or for completely for free (involuntarily). This is not the kind of work you give away cheaply on another’s business demand. Keep in mind I am strictly speaking of work you expend to support yourself and prosper with…NOT in-kind donations for charitable work. Although ‘voluntary’ work carries great character value and social business awareness with responsibility, it is done as a gift without expectation of any earned return(s)…get it? Exercise the freedom you have as a business provider to choose your method of business and make that clear to your clients and customers. When you do charitable works keep your social communities, public and media informed (with a consistent and sound public relations and communications plan) that clarifies your business activity. It helps to actively shape and manage the perception of your interested audience, business and media relations. If you are authentic, talented and integral in your profession…most likely you have having invested your professional time, over a period of time, education/training dollars, presence and productivity time after time; and to the point where you can document that demonstrated value to your employer, client/customer. Once you make that demonstration, don’t lash-bat, never detract…for many reasons I could list forever, it could subtract from your profitable worth. In my own experience I have found that naive people who go into business without the confident intention to market their valued services to their ‘IDEAL’ clients like a serious business, are often treated like a charity (not-for-profit, and easy to settle for charitable donations – letting the client/customer set the value rates for the work by default). That situation is a risky way of doing business and could be an indicator of the business decision-makers confidence or misdirected communication and perception. It wouldn’t be surprising at all for that business to show more expenses than profits around tax-time…and even the government has a time-limitation on how many consistent losses one can claim. What a disconnect that is for a high-achieving professional and their business success potential. Their veritable success-track is usually ‘the’ indicator of a favorable and probable high-return on their business investments. To show no increase in your return on your work investments make one question the value of your work. Unless you are independently wealthy or your work is philanthropic and you are exempt from for-profit business interests; then your choice for business decision or indecision to choose could be a serious matter of true economic freedom or involuntary servitude. If law and history examples remain correct then indentured servitude could still be embedded in nat’l economic enslavement….yes 2016 and yes at a national level (see source research below). After a reasonable period of proving your business value…you must confidently bill your #appreciating value and worth to your ‘IDEAL’ clients not those who are not. Do your value math and see how your marketable skills, service, expenses and labor add up to do what you do…how could you subtract from those established facts. What makes you think your ‘IDEAL’ client/customer is not calculating the costs for acquiring you to assist them with increasing their product/service solution values? Q:Are you confident about your business offerings? Q: Are you providing legitimate products/services that produce value for a client/customer? Q: Do your clients know it? Q: In what ways have can you tell ‘n show it? Q: Have you no public communications and social business relations plan in 2016? Q: Do you desire an elevated business perception with your social business and public, media/press audiences? 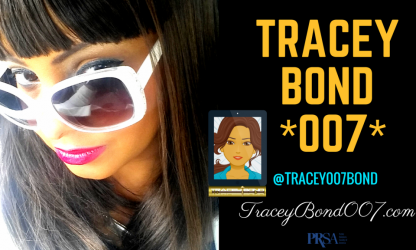 *Visit http://Beneficience.com CLIENT #PRNews portal or BOOK a FREE consultation with Agent Bond right now at: FREE 35-MINUTE APPOINTMENTS FOR OUR NEW BENEFICIENCE.com PR CLIENT PROSPECTS! Your “IDEAL” client is #that client/customer you will invest your time, labor expense and appreciation, accrued product/service values for. That ‘IDEAL’ client/customer will be happy to multiply your joy, by rewarding you for laboring with and for them at the exact value you bill them for. Servitude Then And Now: Is it Disguised? On-The-Rise? Still Illegal Or Not & Where? Do You Care? Got questions? Need Immediate Social Business Solutions?